Oyster Harbor is a fictional town in southern Maryland in the 1930s. It is loosely based on Solomons Island and nearby St. Mary's County. Think boats, refreshing summer breezes, and tasty seafood. I'm from Maryland, and I got inspired to write the first book while visiting the J.C. Lore & Sons oyster house museum. As soon as I stepped inside, I wondered what it would be like to work there...and date the boss. Follow the book links for excerpts, reviews, trailers, and more. Despite the racial tensions brewing in Oyster Harbor in the 1930s, three interracial couples have found love. When a hurricane blows through, will hate finally be washed away or will it grow back stronger than ever? Jonathan Carter, filled with hate from a childhood incident, cares only about keeping the Klan strong on the island. Cali Waters, still grieving for her husband who died from a Klan attack, longs to use her healing gift instead of being the Carter family cook. When a hurricane threatens the hospital Jon started to build, an injury puts his life in her hands and a chance to heal more than his flesh. Jonathan’s sister, Mary, is tired of the sheltered existence she’s lived since being raped. 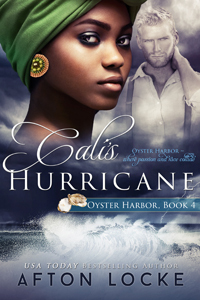 When Jimmy Clark, a black oyster shucker, rescues her during the hurricane, she heals from his gentle love. But if her brother finds out, both relationships will be put to a test fiercer than any storm. After her husband leaves her for another woman, Sadie Johnson feels unattractive. Unable to face a dreary future of shucking oysters and living with her critical mother, she dreams of being a businesswoman. But in 1936, opportunities for women of color in Oyster Island are limited. An oysterman at heart, Henry Rockfield would rather sail than run the local branch of his brother’s oyster company. He’s not happy about belonging to the town Klan either, but he’ll do anything to keep the peace and help his family. When sassy Sadie proves she can run the plant, he can’t resist putting her secretly in charge so he can return to the sea. But when desire resurrects a tragic mistake from his past, he learns business and pleasure are a dangerous mix. When racial conflict hits home, forcing them to choose between love and duty, will Sadie surrender? When Leroy Johnson gets promoted at the new oyster plant on Pearl Point, all he cares about is working hard. When he meets the flirtatious artist Rose Wainwright, however, nothing matters except getting her to the altar and into bed. Healing from a recent loss, he’s not about to let her go too. Because Rose’s strict, social-climbing father doesn’t approve of dark-skinned Leroy, they court in secret anyplace they can find. Although Leroy’s raw passion can convince her to do almost anything, why can’t he understand she needs freedom, not marriage? Her father wants her to be white, but Leroy wants her to be black. Playing both sides of the fence leaves this young biracial beauty exposed in more ways than one. 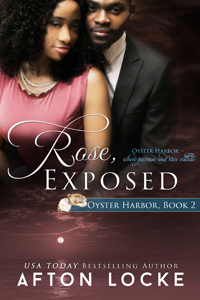 Determined to live a morally proper life, the last thing she wants is an affair with a white man, but Caleb, the plant owner, knows a pearl when he sees one. The successful widower is the “oyster king” of the island, but his intense desire for his forbidden new employee, a woman of color, threatens everything he’s built.